2018 is the Year of Children and Young People and the Imagineers want to support public and private bodies across Aberdeen to understand what is important to children. The Imagineers want adults to consider what they can do to understand and act on what children need. The Imagineers have invited adults who work in a range of sectors to come to an Imagineer session. Adults left with an understanding of the idea of human dignity and children’s human rights. 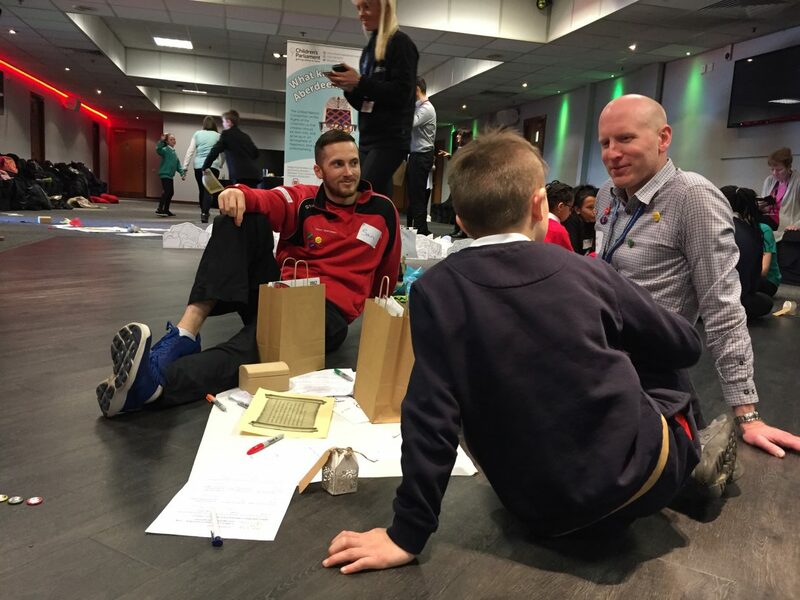 Being part of the Imagineer session helps individuals and organisations to meet their duties to engage meaningfully with children on all aspects of wellbeing and what services and opportunities are provided for children. designed the session and made sure that everyone is able to enjoy it and learn something from it. The Imagineers have met with those working in Culture and Play, Sport and Leisure, Health, Emergency Services and Housing.